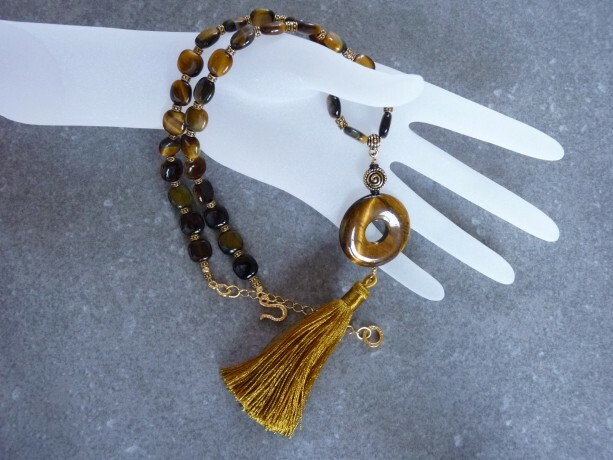 Sparkling 3" Gold Tassel with Tiger Eye stone necklace/choker. 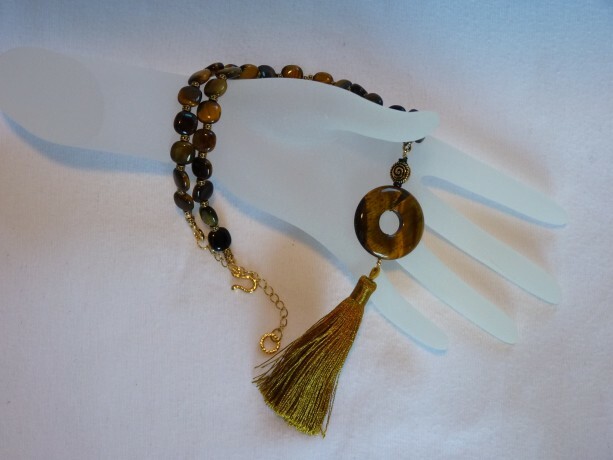 This necklace also has a Tiger Eye donut 30mm diameter pendant, from which hangs the gold tassel. 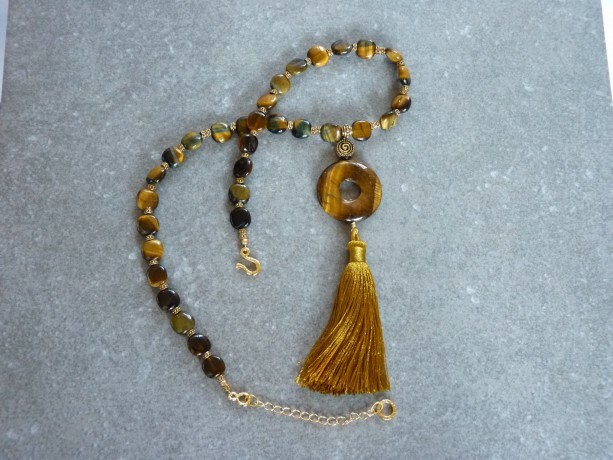 The choker part is made up of 9x11mm puffed Tiger eye stone squares with rounded corners. In between these are gold tone spacers. The gold findings are all lead & nickle-free high quality pewter, with gold plating over them. 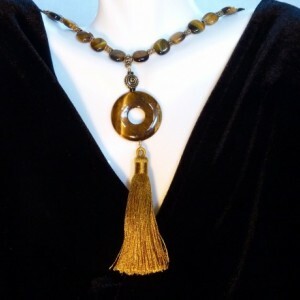 A 2" necklace extender allows for individual adjustments. 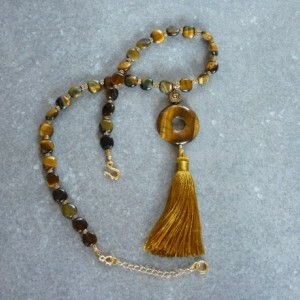 I used a high-quality 49 strand wire to string these with, nylon-coated for durability. 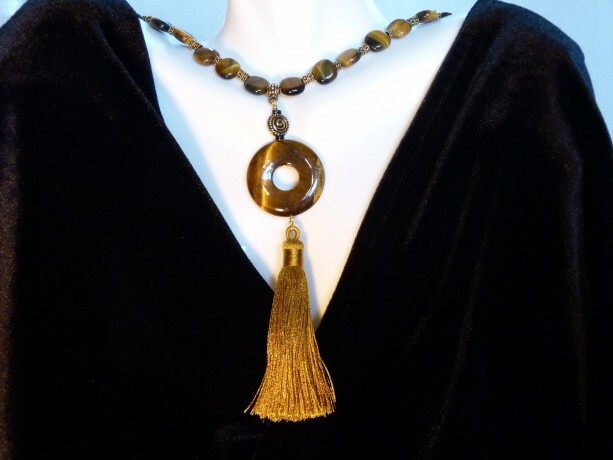 This necklace will turn heads for sure! Your new treasure will arrive nicely packaged and ready for gift giving.